Shimla: Political activist and founder of Swaraj India Party, Prashant Bhushan lambasted at the Union Government and cautioned to approach apex court if Government failed to probe the notorious defence secret leak and alleged involvement of its parliamentarian. Bhushan, who was here to attend a meeting of state chapter of Swaraj Abhiyan, said that allegation against the modern armament manufacturer regarding the defense deal is serious and should be probed. He stated that Rafale deal set to become Bofors of the Bharatiya Janata Party (BJP) led Union Government. He said that Edmonds Allen, the whistleblower in the Scorpène case, has alleged that BJP MP Varun Gandhi was “honey trapped and compromised” by defence middleman Abhishek Verma and he has also sent proofs to the Prime Minister office. On being asked About Varun Gandhi’s statement regarding legal action against him, Bhushan said, he would be happy if Varun Gandhi took the matter to the court. “We have not released evidences. The photographs which we have are so sleazy that can’t be released but Prime Minister Office has also the copy of all evidences,” he said. Prashant Bhushan also said the Government should probe this matter as how the broker was there in a defense deal. He also demanded to charge-sheet Varun Gandhi if allegation proves. 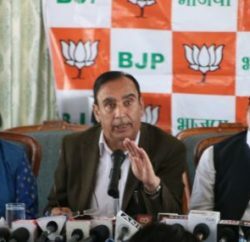 Earlier, Prashant Bhushan and Yogendra Yadav of the newly launched Swaraj Abhiyan Party claimed of receiving evidence against defence officers and a BJP parliamentarian Varun Gandhi, who allegedly leaked sensitive information to middlemen involved in the purchase of six Scorpène submarines for Rs 18,000 crore from Thales. 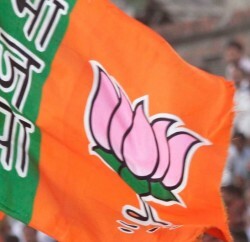 Prashant Bhushan said Edmonds Allen, had written to Prime Minister last month, accusing one Abhishek Verma of providing the BJP parliamentarian with foreign escorts and taking his picture in comprising positions for information. Allen was once a business partner of Verma, currently out on bail and facing trial in the Navy War Room Leak case. Bhushan said the commission paid to the middlemen in the Scorpène deal was four per cent. Indian laws prohibit involvement of middlemen in any defence deal.